A wonderfully passionate artist, Andrew James has been painting for over 25 years, capturing incredible likeness and energy of his subjects, through his sumptuously rigorous and painterly approach. Based in Royal Tunbridge Wells, Kent, Andrew James is a highly sought after Artist, who has worked on many prestigious commissions of public figures. 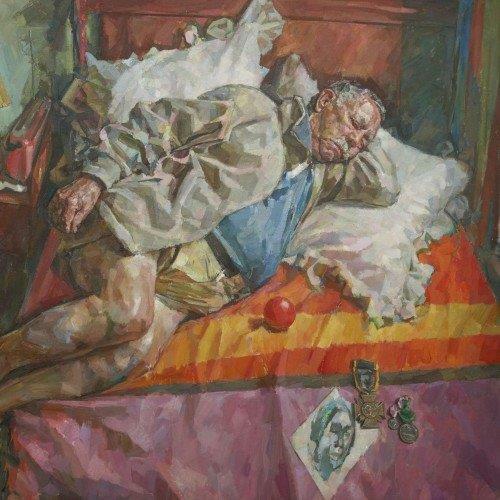 Winner of the Carroll Foundation Award in 1998 and of BBC’s Star Portraits with Rolf Harris, Andrew was elected Vice–President of the Royal Society of Portrait Painters in 2008 and a member of the New English Art Club in 2017. Self- taught, without mentor and unrestrained by outside influences, Andrews closeness and empathy for scenes and sitters clearly comes across in his many every day and down to earth subjects. “He has absorbed a broad painterly aesthetic, displaying a thirst to draw inspiration from often disparate subjects”. Paul James testimonial.